Report reveals just how far the most disadvantaged children in the UK are ‘being left to fall behind’. The UK is lagging behind other rich countries in reducing inequality in child well-being, with concerning gaps in health, education, and income, according to a new report from UNICEF. Innocenti Report Card 13, ‘Fairness for Children: A league table of inequality in child well-being in rich countries‘, presents an overview of inequalities in child well-being in 41 countries and addresses the question ‘how far behind are children being allowed to fall?’ in income, education, health and life satisfaction. Innocenti is UNICEF’s research centre. Each league table provides a snapshot of how far rich countries allow their most disadvantaged children to fall behind the ‘average’ child. Report Card 13 reveals just how far the most disadvantaged children in the UK are being left to fall behind. One of the key areas of concern is the disparity in healthy behaviours among children. Of all the countries studied, the UK has the largest difference in the levels of healthy eating (consumption of fruit and vegetables) between children from low and high socio-economic status, along with one of the largest gaps in the levels of physical activity. Another area of concern is inequality in education, where the UK is ranked 25th out of 37 countries – behind Slovenia, Poland and Romania – in reading, maths and science. One in 10 students falls below minimum proficiency levels in all three subjects by the age of 15. The UK performs better on the measure of income inequality, where it sits seventh overall. But the report reveals that social transfers – such as working tax credits – nearly halve the relative income gap. Without the significant contribution of social transfers, it is estimated that the income gap would be among the highest in Europe. The lack of progress means that ambitions to eradicate child poverty in the UK are unlikely to be realised in coming years. Innocenti’s Report Card 13, Fairness for Children: A league table of inequality in child well-being in rich countries, presents an overview of inequalities in child well-being in 41 countries and addresses the question ‘how far behind are children being allowed to fall?’ in income, education, health and life satisfaction. The report looks at inequalities between children during a time that spans the global financial crisis and recession and sees the UK ranked 14th out of 35 countries overall, tied with Germany, Greece and Hungary. For each of the four measures of inequality, the UK is ranked: relative income gap – 7th out of 41 EU/OECD countries; education achievement gap – 25th out of 37 EU/OECD countries; self-reported health problems gap – 19th out of 35 EU/OECD countries; inequality in life satisfaction – 20th out of 35 EU/OECD countries. Denmark is at the top of the overall league table with the lowest inequality among children, while Israel and Turkey are the lowest-ranked countries. 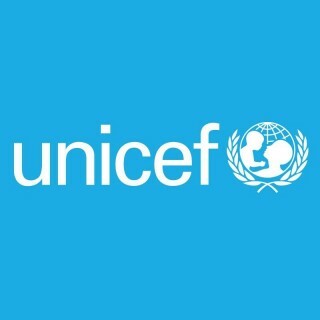 “We must be more ambitious for our children,” Lily Caprani, UNICEF UK’s Deputy Executive Director, said. “Britain can and must do better. Inequality between children is damaging their lives and aspirations. “Taking children’s rights seriously means acting with urgency to make sure no child is left behind. “The UK government should adopt, as a matter of urgency, a childhood obesity strategy that promotes and supports healthy lifestyles for low-income children. Sam Whyte, from UNICEF UK, remarking on the report, said: ‘…One of the most striking underlying messages of the report lies in the fragility of the gains made in the UK with regard to income inequality, and the central role played by social transfers (benefits and taxes) in shoring up the incomes of the poorest families. ‘The progress we’ve seen in closing the gap is largely due to a fall in the household income of families with children at the median, and is unlikely to be sustained over the longer-term without further action. ‘The report also shows that the relative income gap in the UK is more dependent on the level of social transfers than almost any other country, and would be almost doubled were these measures not in place, becoming among the highest inequality gap in Europe.